The global medicated feed additives market is projected to reach a value of USD 15.32 billion by 2022, growing at a CAGR of 5.41% from 2016 to 2022. The market is driven by factors such as rise in consumption of meat and dairy products and growing concerns about the health of livestock and industrialization of processed products. Moreover, the growing global population and rise in instances of epidemic outbreak in livestock in developing countries is resulting in the growth of the medicated feed additives market. However, factors such as different regulatory structures and uncertainty of the world economy affect the growth of the medicated feed additives market. On the basis of product, the enzymes segment dominated the medicated feed additives market in 2015. With the increase in demand for feed enzymes, their consumption is increasing as they are used for the development of the immune system and bones of animals. On the basis of mixture type, concentrates were the most widely used mixture type of medicated feed additives. Medicated feed concentrates are less bulky and have higher digestibility. They are a concentrated source of nutrients and therefore have higher nutritive value than fibrous fodder. Asia-Pacific is projected to be the fastest-growing market for medicated feed additives between 2016 and 2022. The Asia-Pacific market experiences the maximum consumption of medicated feed additives due to the increasing population and demand for quality meat products. Key players focus on research & development to develop products conforming to European regulations for medicated feed additives, since these regulations are considered to be benchmarks in terms of certain feed additives. The global medicated feed additives market is segmented region-wise, with a detailed analysis of each region by studying the key markets. These regions include North America, Europe, Asia-Pacific, and the Rest of the World (RoW). The medicated feed additives market is dominated by key players such as Archer Daniels Midland Company (U.S.), Cargill (U.S.), CHS Inc. (U.S.), Zoetis Inc. (U.S.), and Purina Animal Nutrition (Land O’Lakes) (U.S). Other players include Adisseo France SAS (France), Alltech Inc. (Ridley) (U.S.), Zagro (Singapore), Hipro Animal Nutrition (Turkey), and Biostadt India Ltd. (India). This study estimates the global market of medicated feed additives, in terms of value, till 2022, segmented on the basis of product, livestock, mixture type, category, and region. It offers a detailed qualitative and quantitative analysis of this market with reference to the competitive landscape, and the preferred development strategies such as investments & agreements, expansions, new product launches, and acquisitions to gain a larger share in the market. It covers various important aspects of the market. These include analysis of the value chain, competitive landscape, market dynamics, market estimates in terms of value, and future trends in the medicated feed additives market. 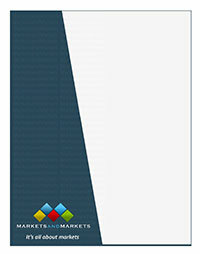 From an insight perspective, this research report has focused on various levels of analysis?industry analysis (industry trends), market share analysis of top players, supply chain analysis, and company profiles, which together comprise and discuss the basic views on the competitive landscape; emerging and high-growth segments of the medicated feed additives market; high-growth regions; and market drivers, restraints, and opportunities. Market Penetration: Comprehensive information on medicated feed additives offered by the top players in the global medicated feed additives market. Product Development/Innovation: Detailed insights on upcoming technologies, R&D activities, and new product launches in the medicated feed additives market. Market Development: Comprehensive information about lucrative emerging markets?the report analyzes the markets for medicated feed additives across various regions. Market Diversification: Exhaustive information about new products, untapped geographies, recent developments, and investments in the global medicated feed additives market. Competitive Assessment: In-depth assessment of the market share, strategies, products, and manufacturing capabilities of the leading players in the global medicated feed additives market.